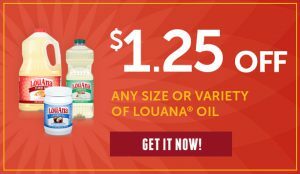 That tousled, textured look that a trip to the beach gives your hair is a great summer perk, but this DIY sea salt spray captures the same effect in a bottle year-round. 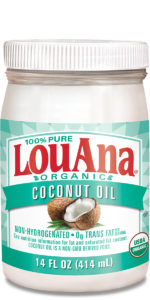 Since salt has a drying effect, LouAna Organic Coconut Oil brings much-needed moisturizing to the mix. 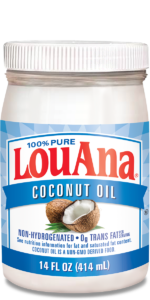 In a microwave-safe bowl, add 1 tablespoon of LouAna Coconut Oil. Microwave for several seconds to melt oil. Let it cool slightly. Remove the nozzle top from a clean, empty spray bottle. Add the coconut oil, sea salt, hair gel and warm water to the spray bottle. 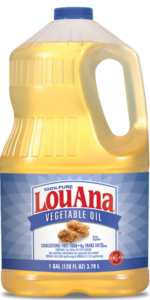 Put the nozzle top back on the bottle and tighten to close. Shake well until the mixture dissolves. To style, lightly spray the sea salt mixture on clean, dry hair (avoiding roots), then scrunch hair with your hands to add texture. For a variation, spray it on damp hair, then scrunch hair with your hands and let it air dry. Note: If the sea salt spray starts to solidify over time, just hold the spray bottle under warm water, then shake well. Store at room temperature. Will last until the bottle runs out.